In case you haven’t heard, the Far Cry 5 mini map has been removed from the game – this, along with the radio towers. In an interview with Gaming Bolt, Far Cry 5 lead writer Drew Holmes explained why the mini map and radio towers were removed. According to him, they really wanted to focus on exploration this time as compared with Far Cry 3 and Far Cry 4. “I think in Far Cry 3 and Far Cry 4 you got into a rhythm of, ‘the only way that I can find out what to do in this area is to go climb a tower, hit a button and all of these things pop up.’ We really wanted to focus on exploration with a sense of, ‘I’m not sure what to do or where to go’,” Holmes said about removing the radio towers. In addition, Holmes also said that the game has a more familiar setting (Montana), thus they want players to explore and think about what they should do next and not rely on the radio towers alone. As for the mini map, Holmes said that the lack of it makes you pay more attention to the world, and not simply focus on some small map at the corner of your screen. What do you think of this move to remove the Far Cry 5 mini map and radio towers? Will it be beneficial to the game? Share your thoughts with us in the comments below! 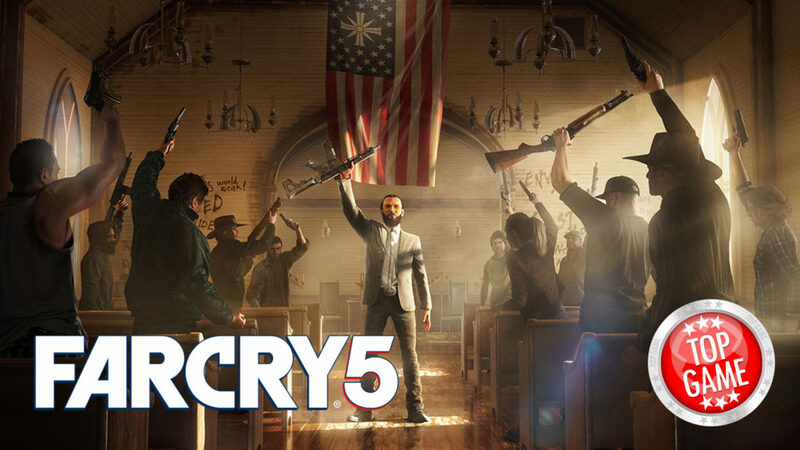 Far Cry 5 release date confirmed! PLUS get to know the characters who will fight alongside you to free Hope County from the grip of the cult Eden’s Gate! I really relied on my mini map in the other farcry games, but radio towers were just annoying especially in far cry 4 they were like a mini maze.